On the 23rd of March the Ambulante Festival starts in Mexico. More than two months long Strike a Pose will be travelling – together with 136 other documentaries – through Mexico. The screenings of the film will take place in Cinépolis (in ten states of Mexico). Save the date: from the 23rd of March until the 25th of May Strike a Pose at the Ambulante Festival in Mexico! On Saturday, the 11th of March 2017, the Canadian TVO will broadcast Strike a Pose. Time of transmission: 9:00 PM! ABC TV Australia is going to broadcast Strike a Pose on the 5th of March 2017. Starting time is at 10.03 PM. For more information, go to the website of ABC TV Australia. 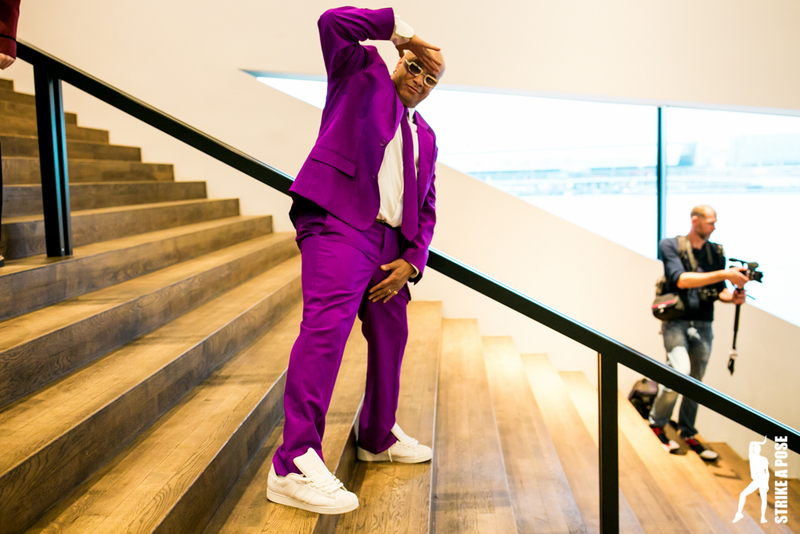 Logo TV announced this Thursday it will debut Strike a Pose on April 6 at 9 p.m.! It’s raining Awards for Strike a Pose! 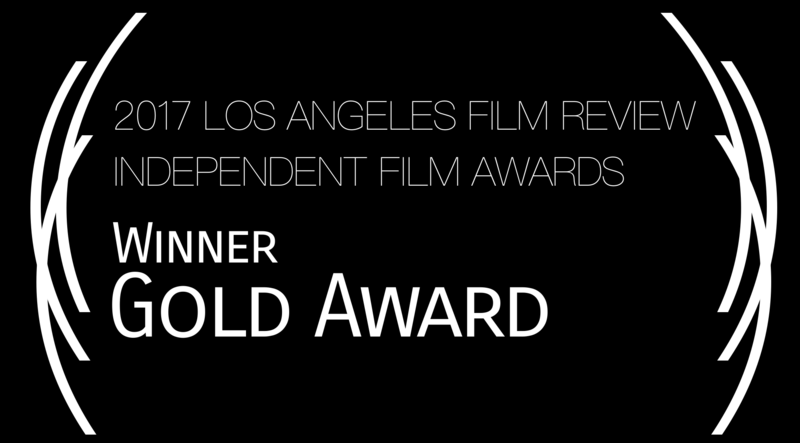 The film was selected as a Gold Award recipient in the 2017 Los Angeles Film Review Independent Film Awards. This award honors the creativity, ingenuity and technical excellence evidenced by your film. Wow, what a honour. Thanks you so much! 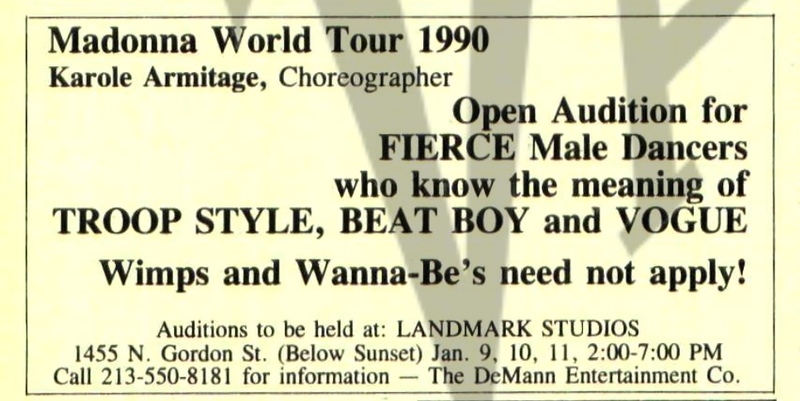 Bertha Doc House in London (UK) has added extra screenings of Strike a Pose to their programme. You can see the film until the 23rd of February 2017. For more information, click here. Strike a Pose has been nominated for a Queerties award in the category Documentary. We’re so delighted! Queerty is the leading LGBTQ news and entertainment site and their annual awards are voted on by their members. You can vote too. Voting is open until Monay, the 20th of February 2017. So, rests us only one thing to mention: go vote for Strike a Pose by clicking on this link! Besides in US cinemas you can watch Strike a Pose this month at: Bertha DocHouse in London, UK from the 3rd until the 9th of February. And the documentary will also be in Canada between the 3rd and 9th + 20 February at Hot Docs Ted Rogers Cinema in Toronto and on Thursday, the 9th of February, at Victoria Film Festival in Victoria. 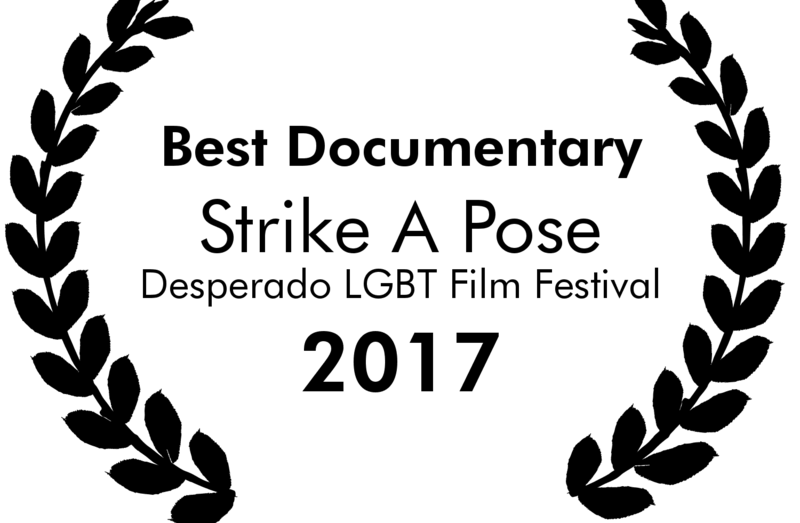 Our documentary Strike a Pose has won the Award for Best Documentary at the Desperado LGBT Film Festival 2017. Amazing! Thank you so much. Once again, we are very proud and happy.